Note from the Chilean blog Publicacion Refractario: Despite the continuous contradictory information that has come to us from different factions regarding the detained comrades on the other side of the mountain range, which is related to the fact that their situation is not being publicized- their names, the charges, everything that happened has been silenced. We prefer to publish the communique from the ‘Union of Lawyers and Attorneys’ who are quite clear about the recent events that have taken place in the Argentine territory… Against silence and indifference: To spread insurrectionist anti-prison solidarity. 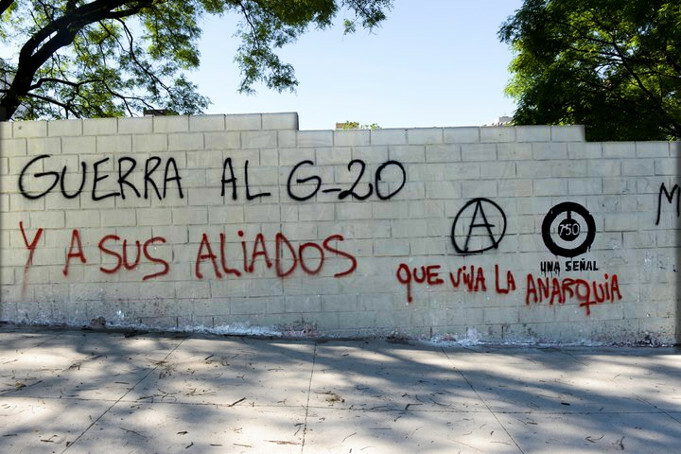 The attacks and mass arrests of the anarchists came just before the G20 Meeting in Buenos Aires.All the detained anarchists defended by our union have been processed and placed in preventive detention. 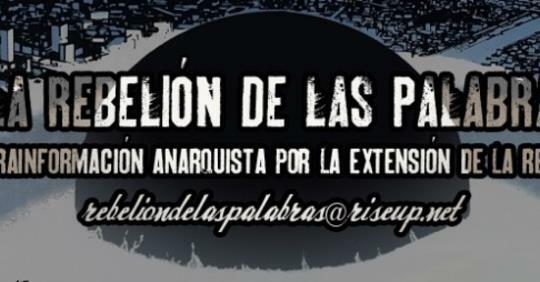 In total there are 12 anarchist political prisoners. One is accused of throwing an explosive device at Judge Bonadio’s car. His name is Marco Viola. 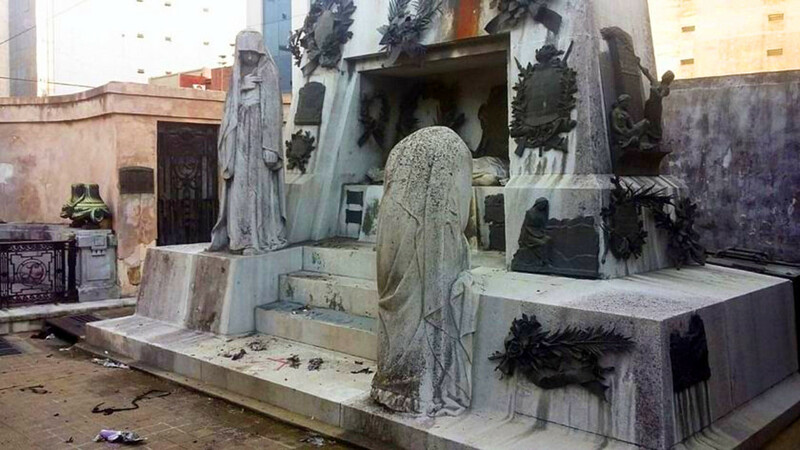 Two others are accused of having attacked the tomb of the criminal chief of the Federal Police Colonel Ramón Falcón. Their names are Anahi Salcedo and Hugo Rodriguez. 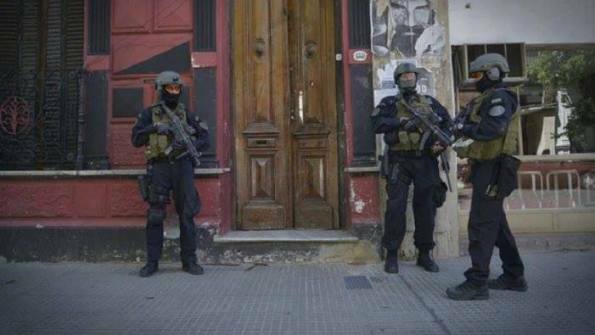 There was a raid on a social center in the Barrio of Constitución, in CABA (Autonomous City of Buenos Aires) and they detained everybody who was meeting in this place, some with more permanence, others circumstantially. ALL OF THEM have been accused of EVERYTHING. They are all under investigation for being part of an organized structure established and created to commit offences among which are those that we have already mentioned. Bail was refused for all of the detainees. Now Judge Ercolini has indicted all of the accused. The prosecution ruling for PREVENTIVE DETENTION was passed. . They have ordered that ALL the anarchist detainees remain imprisoned until their trial. The Union will appeal the resolution. As a result of the apparently premature detonation of the small bomb two people were arrested at the scene. One of them, Anahi Salcedo was seriously wounded (mainly wounds on the hands and face) after – allegedly – the mechanism was detonated too soon. 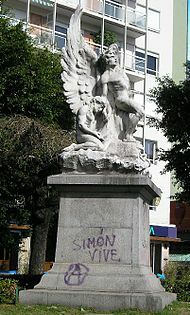 One of the plaques found in the Cemetery of Recoleta, after the attack on the tomb of Ramón Falcón,the fanatical police chief who led the extreme repression and mass murder of protesting workers, next to a sign that says “Simón Lives! In the hearts of All The Uprisen”, in reference to Simón Radowitzky, the 18 year old anarchist militant who assassinated Falcon in 1909. At the same time another comrade was arrested around 7:00 pm, after allegedly throwing a very small explosive device against the house of Federal Judge Claudio Bonadio, after being intercepted by the magistrate’s guards. After these three arrests, the police and the press have immediately indicated the anarchist link, unleashing a hunt and massive raids against different spaces. The information from the compañerxs arrives fragmented, and several raids have continued even during these days. Later on 10 more people were arrested in a police raid on the house where the second comrade had been living. The police claimed to have found fireworks and powder. The press – of the left and the right – has not stopped daily intoxicating this case, with stories and rumors, using what happened to feed their own interests. Let us remember that for a long time the comrades have accused the police of trying to infiltrate them with the intelligence services or by provocateurs, both after the assassination and disappearance of comrade Santiago Maldonado, and now on the eve of the new summit of the G20 in Buenos Aires. 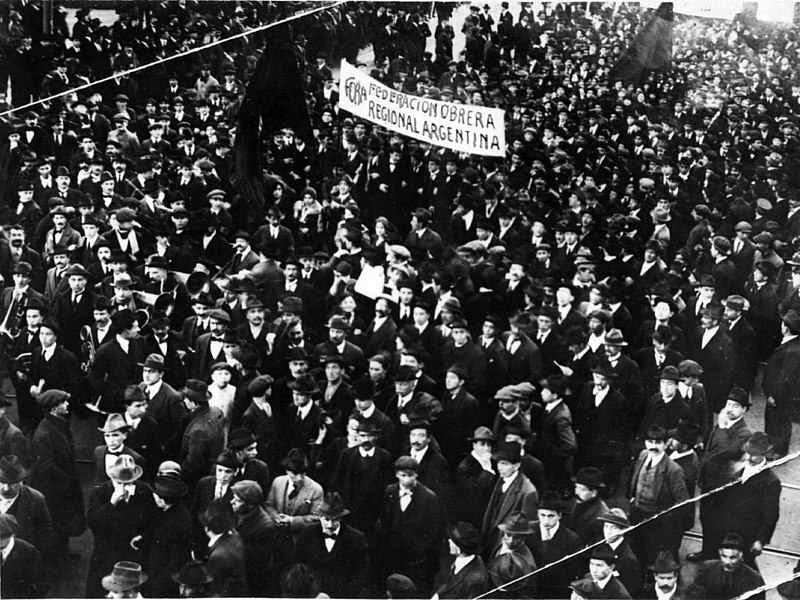 It now seems the attacks were genuine attempts to link the l0ng and successful history of anarchist workers struggle in Argentina with the present day capitalist crisis, mass poverty and heavy repression. Therefore support and solidarity are even more urgently called for in the context of mass reprisals, raids and State hostage taking of completely innocent comrades, along with the three accused of setting off ‘large fireworks’, one in front of the house of a notorious judge and the other at the magnificent tomb of a fascist mass murderer. En total son doce prisioneros políticos anarquistas. A uno se le imputa arrojar un aparato explosivo al coche del Juez Bonadio. Su nombre es Marco Viola. A otros dos se les imputa haber atentado contra la tumba del criminal Jefe de la Policia Federal Coronel Ramón Falcón. Se trata de Anahi Salcedo y Hugo Rodríguez. Luego se produjo un allanamiento en un converntillo del Barrio Constitución, en CABA Y ahí se detuvo a todos los que se encontraban en ese lugar, algunos con más permanencia, otros circunstancialmente. A TODOS los acusaron de TODO. Todos fueron indagados por ser parte de una estructura Organizada establecida y creada para producir delitos entre los cuales están los ya mencionados. Se negaron las excarcelaciones presentadas. Ahora el Juez Ercolini acaba de dictar procesamiento a todos los imputados. El procesamiento fue dictaminado CON PRISIÓN preventiva. Pretenden que TODOS los detenidos anarquistas vayan a juicio estando presos. La Gremial apelará la resolución. Asociación Gremial de Abogados y Abogadas. 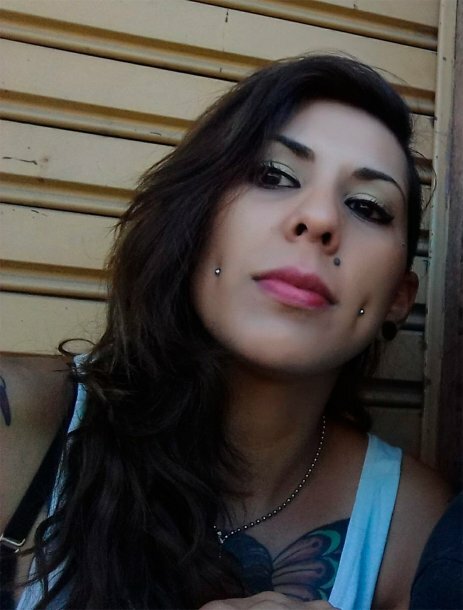 She is Anahi Salcedo , a 33 years old anarchist. (the bourgeois press and court and even the lawyers have repeatedly published her name and the names of the 2 other direct defendants) She suffered severe burns, lost three fingers, and was in a coma with breathing assistance 2 days after the attack. She shared feminist posts criticizing patriarchy and “anarcho machos”. For example she shared the invitation to the anarchist film festival, appeals for abandoned animals and a series of talks and workshops on ”natural gynecology” and “veganism and anarchism”, “self-defense and combat”, “etc. Why was the mausoleum attacked? In this context the attacks on property were part of an ongoing anarchist workers struggle against the rapacious bosses and police and state repression. Attacking property of the oppressors in a symbolic way. 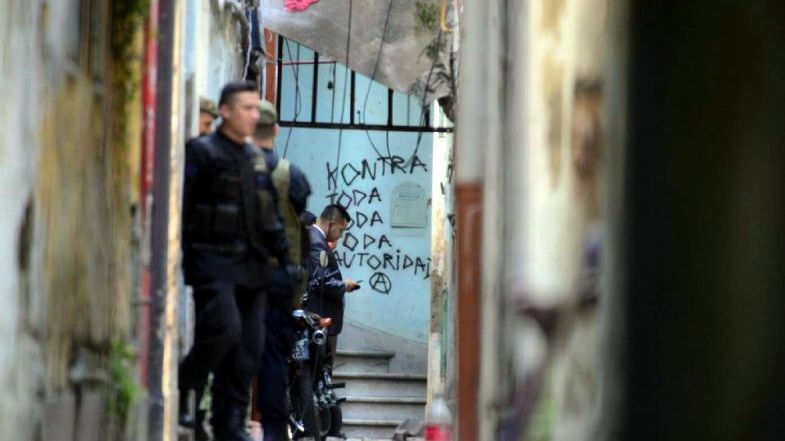 Declaration from the Anarchist Workers Center ‘Constitution’ ..
Today, November 15, around noon, the Constitution Anarchist Athenaeum was raided. Our presence guaranteed that the integrity of the premises is preserved. Momentarily it will be closed. We thank the neighbors and partners for their support and affection. Fierce Struggle of the anarchist union FORA (beginning early twentieth century). 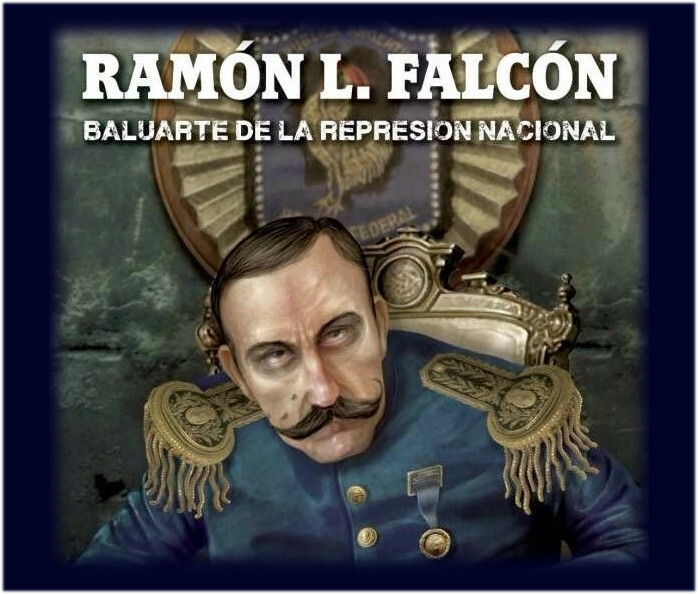 According to testimonies of the time, once finished the speech of an anarchist speaker before an audience of approximately 1500 people (men, women and children), Ramón L. Falcón, who was present next to his police gave the order. After intense negotiations with the government of José Figueroa Alcorta – through the provisional vice president – 8 the general strike was lifted. Some requests of the unions were accepted, among them the request for the release of the detainees from May 1, although not all. No person responsible or executor of the massacre ever had to answer judicially for their actions.1 This fact was used by the anarchists to justify the assassination of the police chief Ramón Falcón. 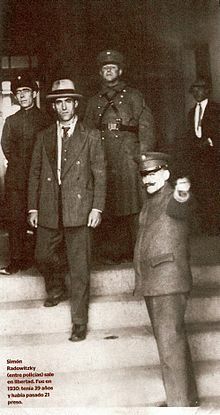 The assassination of Falcón produced a new wave of repression3 that was tainted by episodes of anti-Semitic and xenophobic violence, produced after the condemnatory decision; in addition to the looting and burning of various newspapers, libraries, and socialist and anarchist institutions, as well as institutions such as the Russian Library or the Poale Sion. Simon Radowitsky was under aged to be executed but served at least 25 years prison. He emerged unrepentant and fought in an anarchist brigade during the Spanish Revolution.